Getting there: The highways to Vienna (A) and Bratislava , going north to Trenĉin and Ruzomberok. Our destination was Liptovska Osada, between the higher and lower Tatras, or between Ruzemberok and Banska Bystrica. 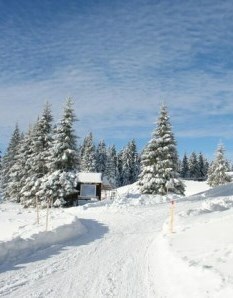 The Narodny Park Velka Fatra. Maps: You easy can buy useful walking maps in the cities of Slovakia. Just as in the Czech Republic, the - many - trails are well maintained. We used the “Turisticka Mapa Vel’ka Fatra, nr 121, VKU (Vojensky kartograficky ustav Harmanec. Scale: 1:50.000. Accommodation: although booked for one night we stayed more days at a pension in Liptovska Osada: a lot of snow. So, we made day walks from this pension (guesthouse). 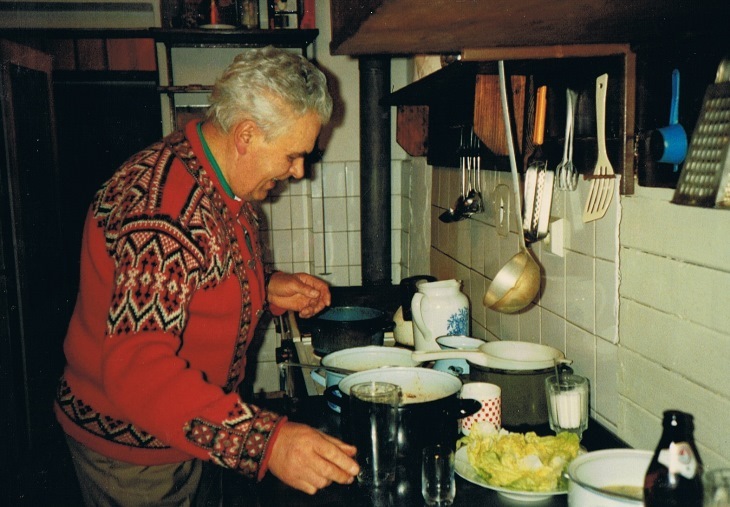 Easter 1995: 4 day-walks from a private family-pension* in Liptovska Osada. A great base for beautiful hikes across the mountain peaks. 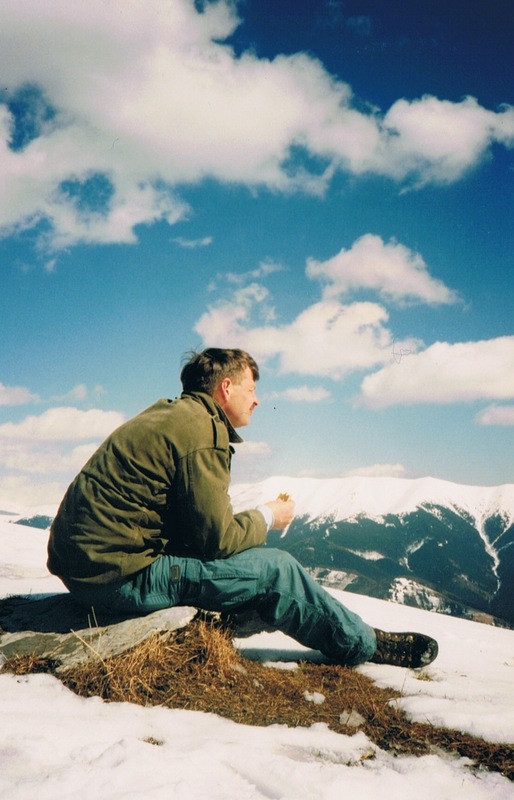 To enjoy all those views on the snowy mountain peaks.. 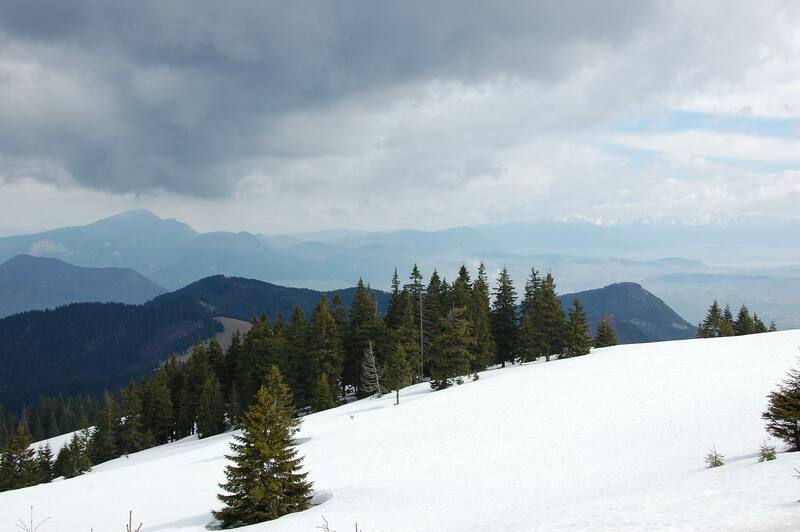 Height: 609 m until 1532 m.
On trail: hiking through snow is a special experience. With clear weather phenomenal views. But also looking for the marks….and: fresh traces of bears. People say that also the lynx lives here. Near Donavaly we saw some people (Donavaly is a well-known ski resort). But most of the time we were on our own. Day 3:There also are some signposted trails to the Šiprúň from Ružomberok. Informations, maps, at the tourist office Ružomberok: 15 km from Liptovska Osada. 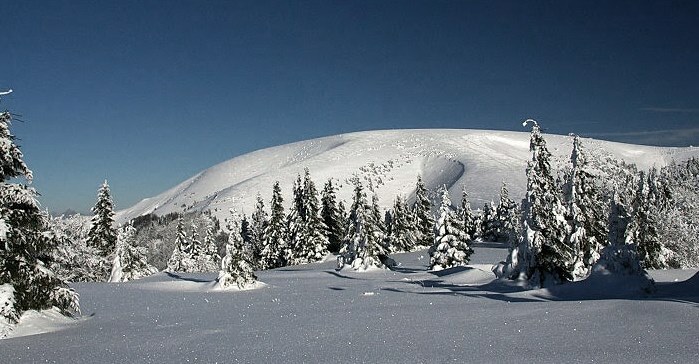 De Lower Tatras is protected by UNESCO. Because of the karst rocks there are a lot of caves. Hidden in the valleys some villages where people invited us for the “celebration” of Easter. Folklore. With music and a lot of alcohol. * 2019: The pension is closed. But there are alternatives. 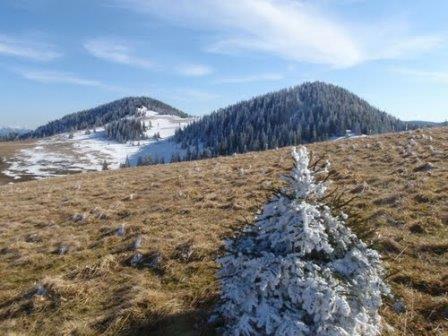 Click here for more walks in the Slovak Paradise. Below a photo-video collage of the Big Tatra, in summer!